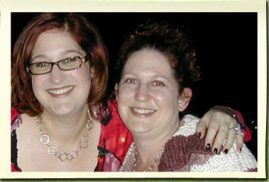 We are sisters and best friends who do everything together which makes us perfect business partners! 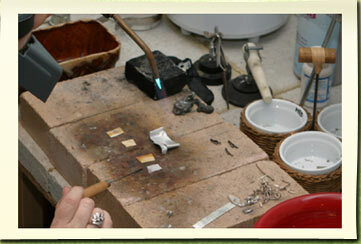 About 17 years ago we began making jewelry, which tapped into our passion. As we work, we compliment each other’s skills and share the tasks to complete every unique piece. 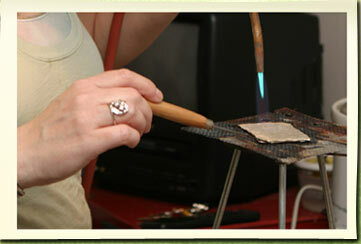 We began beading and quickly progressed into both silver smithing and lampworking (blown glass). We love creating custom pieces using fine gemstones, sterling and fine silver, copper and Italian glass. We definitely have our own style, but enjoy the challenge of creating a custom piece while letting the client come up with the design. (Yes, we do insert our own flare, can’t help it…) Our full line consists of jewelry, money clips, hairpins, sweater pins, key chains, bookmarks, card boxes and more. Every day brings new ideas! 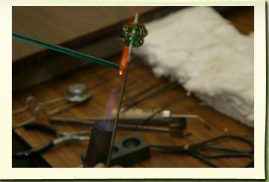 Each piece is hand crafted and no two are exactly alike. Our studio is located in Tampa, Florida where we sell in boutiques as well as take part in local art shows. Our favorite part of designing is having other people enjoy our creations. We hope you love our pieces as much as we do.